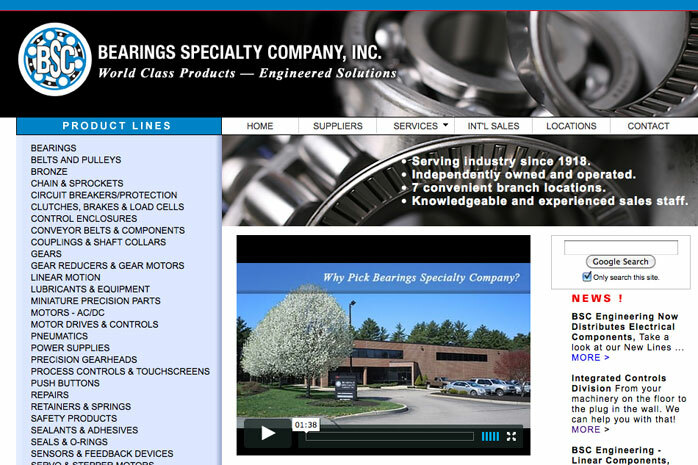 Bearings Specialty, Inc. needed a new look for their site to bring it up to date and to support the promotion of their business. They had effectively “outgrown” what their original site had been able to do for them in terms of reaching their market and presenting the full story on their products, services, and expertise. We created a completely revamped and updated site with a more polished look which includes a capabilities video that displays on their Home page.